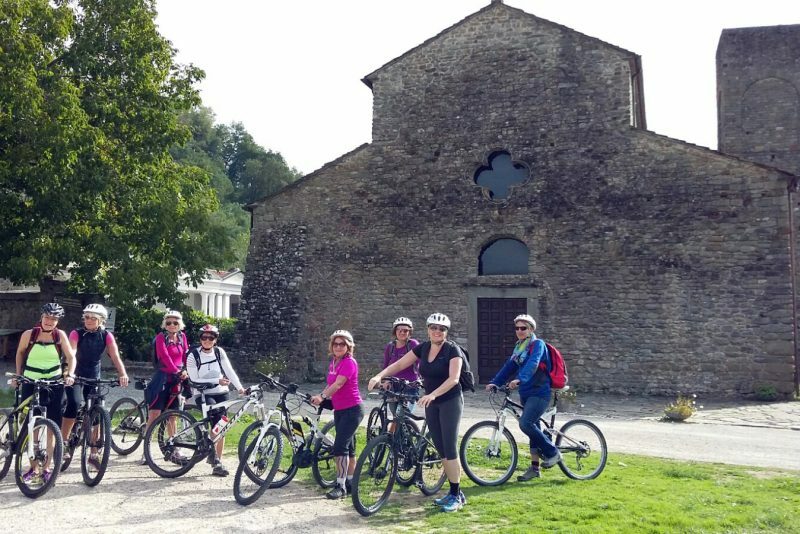 This Middle Ages cycling tour will take you to discover the real essence of Lunigiana, cycling by e-bikes among medieval villages, bridges, castles and woods of the Apennine National Park and Mab Unesco Reserve in Lunigiana. Taste food of the local tradition in typical Agriturismi, Farm Houses and Restaurants with organic products, where lunch becomes a discovery! 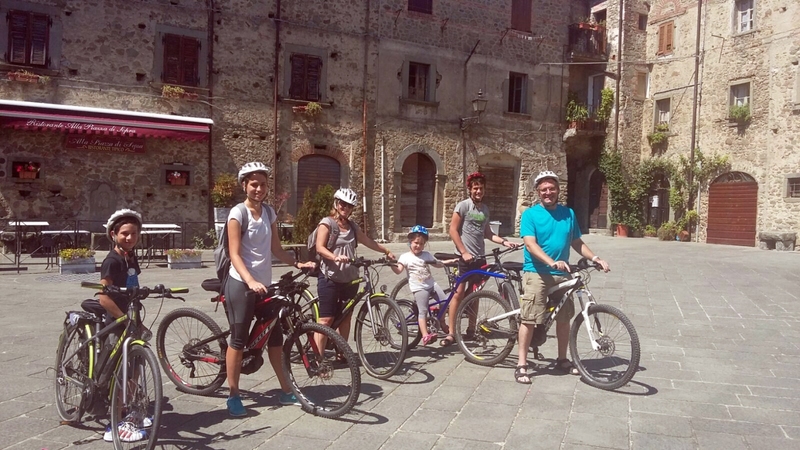 Thanks to our electric bikes this cycling tour is suitable for everybody, also those not particularly fit or families with kids. 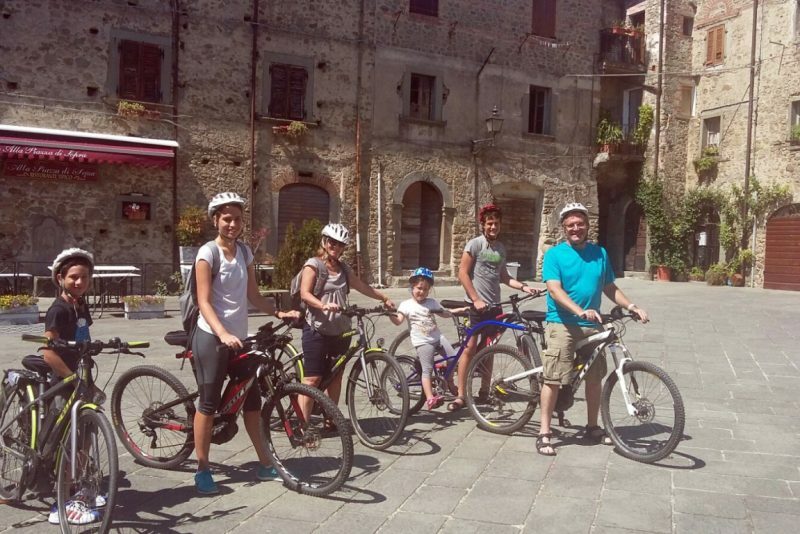 People can enjoy a day by bike with itineraries, which go from 30 to 50 km, with a sense of freedom that only the bike can give; the perfect means of trasport to discover Lunigiana along secondary roads without traffic. We start the tour from the beautiful Sorano Romanesque Church, crucial landmark along the pilgrimage route Via Francigena. 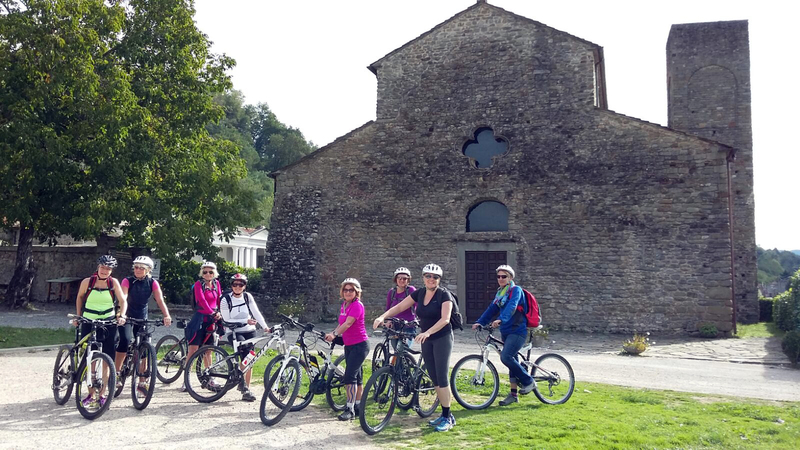 Cycling at the foot of the Apennine National Park we will cross picturesque medieval villages often overseen by stately towers and castles, cycling across secondary roads and Northern Tuscany countryside. Break for a delicious tasting lunch with local products in a farm house or local restaurants. 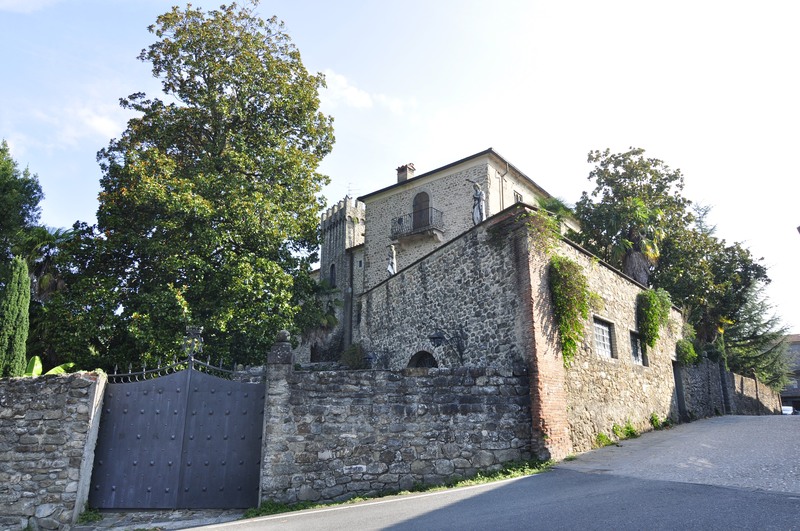 During the lunch it will be possible to taste local products, which change according to the seasons, as the salad vegetables pies, stuffed vegetables, chestnut flour fritters, courgette flowers fritters with cheese and typical cold cuts, traditional first courses as testaroli al pesto, tortelli, chestnut flour pasta, local wines. It will be a journey to discover the territory and its fabulous food. To bring with you: sports outfit, comfortable shoes, no sandals. Important: Difficulty: medium – easy. 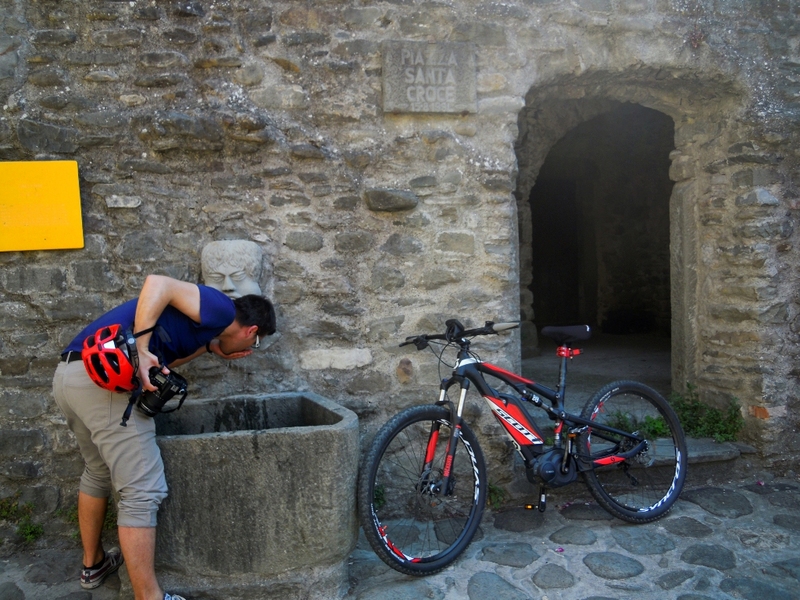 The lenght of the tour can be adjusted to the participants’ fitness level. (from 20 to 35 Km). The tour could be cancelled in case of bad weather or changes of the water level.